For many early settlers in Nova Scotia, land was often the only possession of real value. As a result, land records have been carefully documented and maintained since the first days of colonial government. A large, complex system quickly evolved, serving various purposes: documenting the land-granting process, whereby free land was offered by government to intending settlers; providing a continuous record of property transactions (sellers to buyers, and the reverse) over time; and protecting landholders' ownership and occupation of property. Land records collectively provide a significant resource for family history research. The collection maintained at the Nova Scotia Archives is voluminous and complex; because of its size, little has been digitized, and most research must be done onsite, accessing the records via microfilm. Visit the Land Records section of the Genealogy Guide for some additional background information. A few resources are available online to start your exploration of land records. If you're searching for online information about early land settlement in Nova Scotia, you've come to the right place! A searchable index of land petitions with 11,464 names, linked to 1890 land grant files, digitized in their entirety and just a click away. Includes background information on the land-granting process and a Short Guide to Land Records. 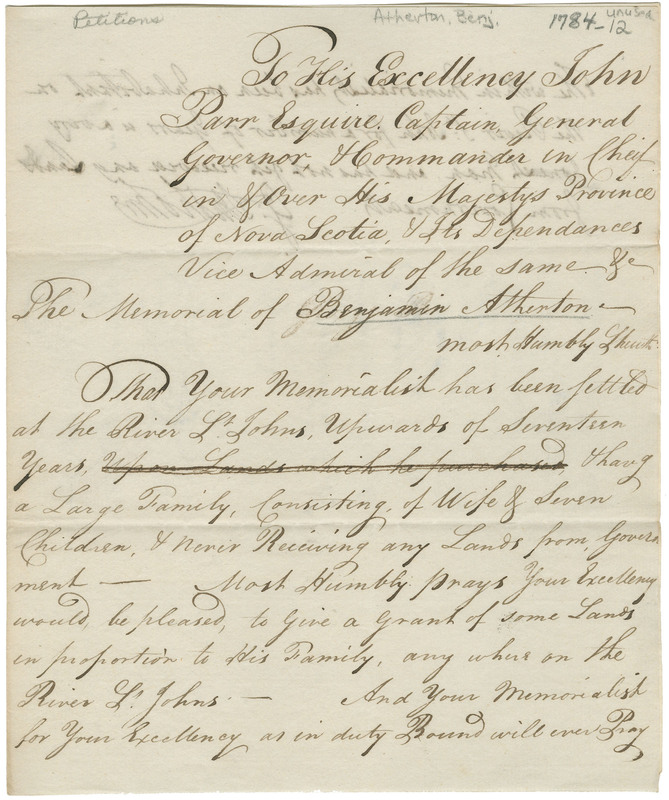 Search this database to access the personal names and information contained in 3,340 petitions from Cape Breton Island (1787-1843).